Azerbaijan's national team, along with Kazakh, Uzbek and Bulgarian teams, who arrived at the training sessions in Baku before the rest of the teams, started training for trampoline gymnastics and tumbling in the National Gymnastics Arena. 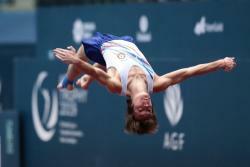 The Gymnastics Federation of Azerbaijan told Trend that on Feb. 11, training sessions will be held at the arena. Teams from Australia, New Zealand, Switzerland and Georgia are expected to take part in the sessions as well. 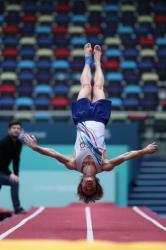 The World Cup in Trampoline Gymnastics and Tumbling, which will be held on February 16-17, 2019 in Baku (qualifying round for the Tokyo Olympic Games), where some 300 gymnasts from 31 countries will take part.